Contact our reservation team today for group rates and to customize your Houston Super Bowl Week ground transfers. Book your small and large group transportation vans and shuttles for a worry free stay in Houston. From business groups to families, we can accommodate airport to hotel trips, shuttle services to stadium and points of interest throughout Houston and Galveston. Want to extend your trip, need to arrive early to setup or break down? We are based in Houston Metro area and will be here before and after the big week. 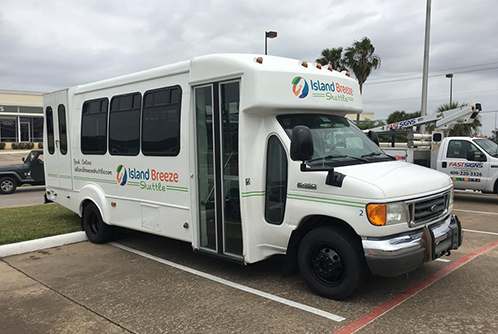 Contact us at Island Breeze Shuttle to book your van, private cars, and group mini-bus. Get a Super Bowl transportation Quote today or call 409-770-0100 to speak to a reservation specialist.